Operating a Fairtrade business gives growers an opportunity to improve living conditions for their local communities and is an area that is quickly gaining popularity. One company is about to launch their Fairtrade program of avocados. Prometo Produce was established 3 years ago and their Fairtrade avocados will become readily available from next month. "Prometo Produce was founded in 2015, and has built an exceptional relationship with Mexican growers that are also Fairtrade certified," said Cynthia Cordova of Prometo Produce. 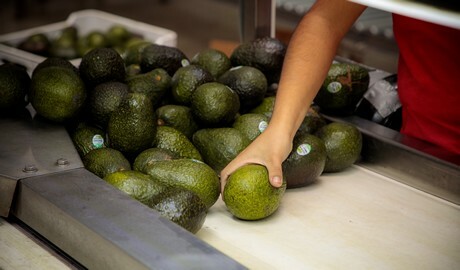 "Our company became Fairtrade (FLOCERT) certified in June 2016, and has worked hard to build a strong team in Mexico in order to offer the best quality avocados. The Prometo team has ensured that there are enough Fairtrade growers to meet the consumers demands. With that being said, we are launching our Fairtrade program in April 2018." The company's motivation to establish the Fairtrade program is to ensure that their partner growers and their respective communities benefit from the produce they grow. "We believe it is extremely important for us to give our growers the best return possible for their product," Cordova explained. 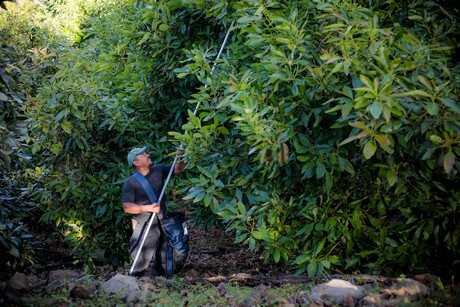 "It is essential for us to support our growers, so they can live a decent life - 'Vida Digna'. Knowing the opportunities that are available by returning a small premium payment is very rewarding." "The premium payment that is collected with every box of avocados that we sell gets reinvested within the local community," she added. "Since Fairtrade is such a powerful and ethical program, Prometo Produce is pleased to support the movement, and help spread awareness and availability worldwide. Giving our growers the freedom to invest in their communities is something that we are ecstatic about, and we cannot wait to see how our growers evolve." It took a lot of effort and time for Prometo to establish the Fairtrade program. Firstly, they needed to find growers and ensure they had sufficient volume to be marketable. Then, the certification steps were undertaken so that those growers were able to enter the program. Many of these growers joined on the word of people that they knew and in turn, spread the message to others. "It is a common practice to have “juntas locales”, which translates to local municipalities where we can communicate with the growers the meaning of Fairtrade, and the benefits involved," Cordova said. "We share examples of inspirational stories of how other growers have enhanced their communities. After sharing the information of Fairtrading, the growers that are interested form their committees and build a group to meet volume demands." Certification is also a process, involving every detail down to the use of the Fairtrade symbol on packaging. "Before becoming certified, an audit took place to ensure that we had everything in order as far as documentation to meet Fairtrade Standards," she continued. "We had to get packaging approval, and use the Mark appropriately, as well as comply with all regulations. There are retailers that also require many certifications from our orchards along with being Fairtrade certified. However, we enjoy all the challenges and apply them as learning experiences." Now that Prometo has the growers and certification necessary, they said they are excited to establish their program, which will be year round in Michoachan. The avocados will be available in the next few weeks and Cordova said they have already seen success. Prometo will also be offering a seasonal Fairtrade mango program. 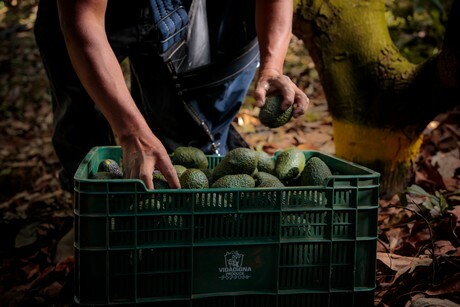 "Since Prometo Produce started, we have experienced immense growth in our avocado sales and expect to surpass 2017 with the addition of our Fairtrade avocados program," Cordova shared. "We currently have about 500 acres of land registered, but we have the ability to easily acquire more land in order to meet market demands." The next step for the company is to educate consumers on the benefits of buying a Fairtrade product. The Prometo team is eager to work with their partner growers and communities and they say they are excited to see the results of the program extending from the consumer to the grower. The company sees Fairtrade as a crucial next stage of ethical produce in the US market. "Our ambition for our Fairtrade program is to increase awareness in the US," Cordova said. "One of our main goals is to empower customers to support the Fairtrade movement, and recognize our label as being ethical. Our team is eager to see the results, whether the growers decide to invest in building new schools, medical clinics, new roads, or technologies. The opportunities are endless and we are positive that the demand for Fairly Traded products is going to increase drastically in the next few decades."